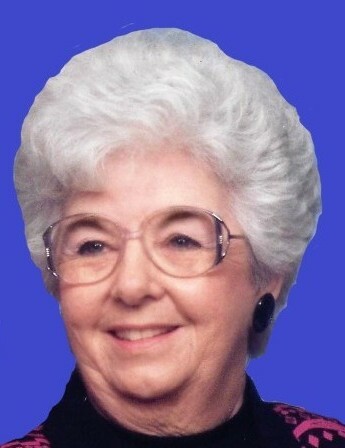 Obituary for Marjorie "Marge" Ellen (Pierce) Radecki | Kaniewski Funeral Homes, Inc.
Marjorie Radecki, 85, of Fort Myers, FL, formerly of South Bend and Mishawaka Indiana, passed away at Hope Hospice House in Lehigh Acres, FL on August 23, 2018, after a long illness. Marjorie was born on July 6, 1933 to Albert Sr. and Birdie Pierce and until just recently was a life- long St. Joseph County resident. On June 11, 1955, she was united in marriage with Joseph, who survives. Also surviving are David, his wife Jessica and son, Michael of Fort Myers, FL, Nancy Lee Riley of Mishawaka, IN, granddaughter Kylie, and her children Isaac, Elijah and Gabriel of South Bend IN. Marjorie was preceded in death by her parents and brother, Albert Pierce Jr.
Marjorie graduated from New Carlisle High School, and worked as a secretary at Studebakers, and finally at South Bend School Corporation. She was a member of the South Bend Police Auxiliary and St. John the Baptist Rosary Society. Viewing will be held at Kaniewski Funeral Home, 3545 N. Bendix Drive, South Bend, IN 46628 on Sunday September 9, 2018 from 4 - 6:30 PM; followed by praying the Rosary at 6:30 PM. A Funeral mass will be held at 10:00 a.m. Monday September 10, 2018 at St. John the Baptist Catholic Church, 3536 Saint Johns Way, South Bend, IN 46628. Burial will follow in St. Joseph Cemetery. In lieu of flowers, send donations in Marjorie’s name to St. John the Baptist Church, South Bend IN.